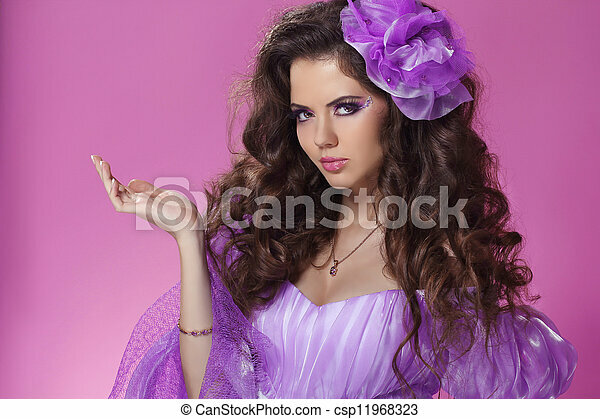 Beautiful woman with long curly hair style over purple. 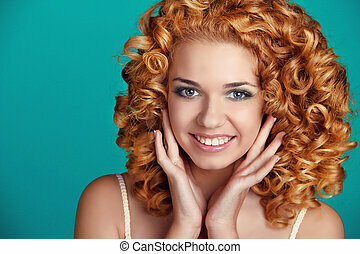 Beautiful woman with long curly hair. 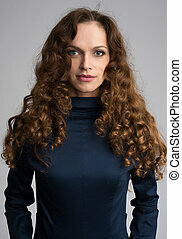 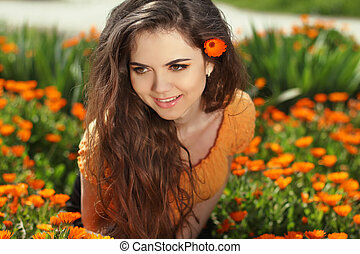 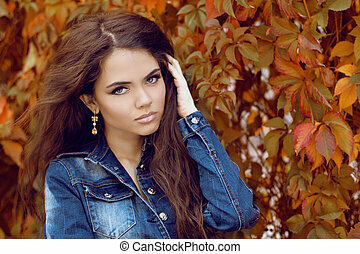 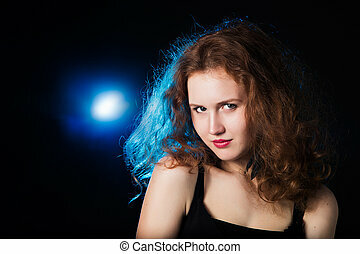 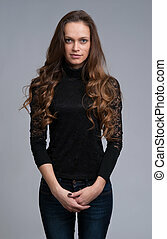 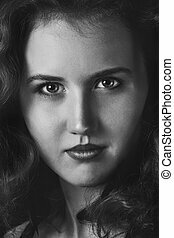 Beautiful brunette woman with beauty long curly hair. 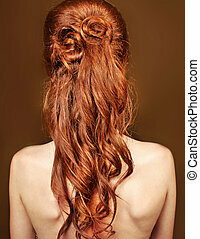 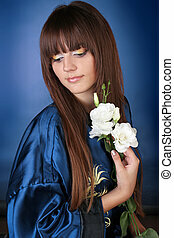 Beautiful sensual blond bride woman with makeup and long curly hair style, posing in luxurious dress, in luxury bedroom. 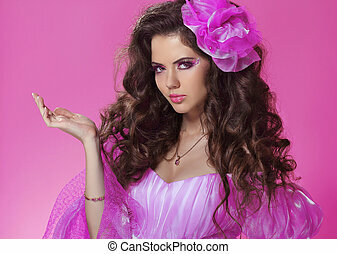 Fashion indoor portrait. 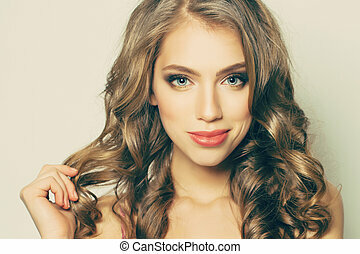 Elegant lady.